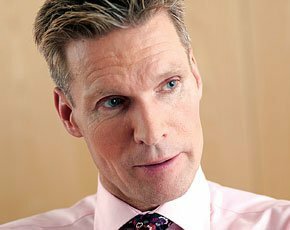 Stephen Kelly, former CEO of technology company Micro Focus, has taken over as chief operating officer (COO) at the Cabinet Office and head of the Efficiency and Reform Group in Ian Watmore’s former role. Stephen Kelly is understood to have strong private-sector experience with knowledge of restructuring organisations. However, aside from his year leading the delivery of MyCSP, the government’s mutualised pension scheme, and involvement in supplier renegotiations, Kelly does not have wide public-sector experience. Kelly takes the role during a major shake-up to the civil service, with the organisation set to shrink to its smallest size since WW2; and digital delivery and a move to mutualised services high on the reform agenda. Richard Heaton, Cabinet Office permanent secretary, said: “I’m really pleased that Stephen has been appointed. Francis Maude, Cabinet Office minister, said: "I've always said government needs to function more like the best-run businesses and this new appointment, which will strengthen the corporate centre at the heart of Whitehall, is another step towards meeting that goal.